Recently our country witnessed a tiny glimpse into our possible, perhaps inevitable, future. Our nation's premier welfare program, SNAP, or Supplemental Nutrition Assistance Program (EBT Cards) experienced a glitch, causing the cards to be inaccessible for a few hours in certain parts of the country. The pandemonium that ensued was epic. People rioted (or threatened to riot), sobbed hysterically and proclaimed that their very lives were in danger, simply from not being able to access their assistance cards for mere hours - not days or months, mind you - but hours. Responding to the outcry, Walmart corporately decided to allow SNAP recipients access to their "benefits", even though the glitch had not yet been resolved. Within minutes of this proclamation, Walmart was overrun and shelves were stripped bare. People were seen with two, four and five carts laden with food, paying for them with their now inactive EBT cards. Finally, the glitch was fixed. One woman, at the end of her $700 transaction, was discovered to have a .49 cent balance on her now restored EBT card. .49 CENTS! And yet, she had filled her cart with over $700 of government assistance approved groceries. This woman knew she had only a .49 cent balance on her EBT card, but she chose to take advantage of a glitch in the system to steal $700. And really, why would we expect anything different. Every day, millions of people in our country take money they didn't earn and consume services they didn't pay for. Our government, in their misguided attempt to provide a social safety net, has encouraged generations of Americans to become thieves. We have taught people to freely take - no, demand - what they didn't earn. We have taught them that they are incapable of providing for themselves short of voting for the politician that will provide them with the biggest "paycheck". Our government has encouraged promiscuity, slothfulness and lying. They have invested billions to ensure a compliant, dependent citizenry, all under the guise of helping the "underprivileged". And how do the "underprivileged" return the favor? They steal from the government (that's us, by the way) any and every chance they get. And why not? The government set the example by stealing money (they like to call it taxes) and spending it with absolutely no accountability. 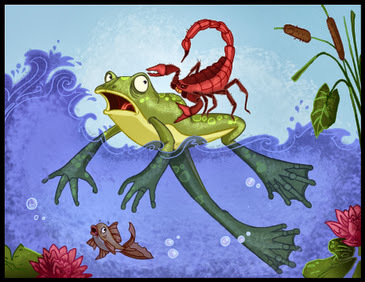 A scorpion and a frog meet on the bank of a stream and the scorpion asks the frog to carry it across on its back. The frog asks, "How do I know you won't sting me?" The scorpion says, "Because if I do, I will die too". The frog is satisfied, and they set out, but in midstream, the scorpion stings the frog. The frog feels the onset of paralysis and starts to sink, knowing they will both drown, but has just enough time to gasp, "why?" Replies the scorpion "It is my nature...."
The folks that rushed to buy groceries that they knew they weren't "entitled" to were that scorpion. They did it because that is their nature. They are used to spending money that they didn't earn, so if they have the opportunity to do it on a larger scale, they most certainly will. Years ago, Sir Knight and I had the opportunity to spend time with a troubled young couple. They had two small children and a history of bad decisions. Although living as husband and wife, they were not married and every disagreement or argument ended in one of them leaving, at least for a short while. She had a history of drug abuse but was actively staying clean. He was young and hotheaded and had no idea how to be a father or a husband. For some reason, they found Sir Knight and I and our family fascinating. Every time we bumped into each other, they asked us questions. Questions about parenting, relationships and what a family was supposed to look like. Sir Knight and I became convinced that were supposed to minister to this couple in whatever small capacity we could. It was messy. Frequently we had crying children and hysterical parents on our doorstep. I spent hours teaching the mother how to cook and how to love her children. Sir Knight spent hours teaching the husband how to lead and how to serve. This couple disrupted our lives. They required time and energy. But they were put in our path and we believed that it was our duty to walk along side them. One evening, the mother called in tears because she didn't have the money to buy her children diapers. She couldn't afford to feed her baby. If we could just help her make it to the end of the month, she would never ask us for anything, ever again. After quickly discussing the situation with Sir Knight, I told her I would come to her house and help her shop. Because we weren't made of money, I gathered up a stash of diapers I had tucked away, a bit of baby rice, a few other necessities, piled them into the truck and set off to pick her up. Thankful as she was, she was certain I didn't need to accompany her to the grocery store. I could just leave the $100 with her and she would take care of the shopping. I told her that I couldn't do that. It was my job to be a good steward over what God had provided for us and I would be remiss in my duty just to hand it over, with no questions asked. I would go to the store with her and help her do her shopping. Our shopping excursion was a real eye-opener. This young mother had very expensive tastes. She wanted the most expensive baby wipes, the most expensive boxed cereal and the most expensive pre-packaged meals available. She wanted to buy a movie for herself (it would help her get her mind off her troubles) and a 12 pack of beer for her boyfriend (it really mellowed him out). She wanted to spend my money on things my own family went without. We did finally make it through our shopping trip. The boxed cereal had been replaced with oatmeal, the pre-packaged meals with raw ingredients and the expensive baby wipes with their inexpensive counterparts. We decided to forgo the movie and the beer and instead settled for another package of diapers and some tea that she could share with her husband. It was not the charity she wanted but it was the charity she needed. I believe in charity. I believe that charity should be administered in person, one-on-one. I believe that charity is messy and complicated and that one size doesn't fit all. I think that when you are on the receiving end of charity you don't get everything you want, but you will get everything you need. I think that without accountability there is no such thing as charity, it is only legalized theft. And I think legalized theft is soul destroying. We have become a nation of scorpions and frogs. I, for one, choose to be neither. All she had to do was turn around and trade some of the food for the beer. People know the ropes. You are right, but that is why it is a good idea to "take" the person shopping, as in your vehicle. If the recipient isn't in their own vehicle, turning around to trade is harder. Wholeheartedly agree with you. I kept thinking when seeing those reports "but what it this really was stuff hitting the fan?" These people have no clue on how to survive on what we grew up on as 'staples'. I looked at those photos, and the majority of the things in the carts was junk! We live in southern California, my husband make a very good income at his career, but with the continual raising taxes on EVERYTHING and the high costs of housing and gas here really makes it a struggle for us. We used to eat out a lot (several years ago), now, I cook from staples and forage for managers specials and shop at small ethnic grocery stores (cheaper fruit and veggies and meat), use fillers like rice and pasta, etc. I know a family who has 3 families living in the same house, 2 in the house I know get food stamps (or Cal Fresh as they like to call it here in Cali), and they have NOTHING put back for an emergency. I pray every day that we can move out of this state soon. You hit the nail right on the head, Enola. Personal Accountability. In past times, charity and food stamps were thought poorly of. People were embarrassed, needy but embarrassed. It was the last resort. You did everything else first and then turned for help. That's not modern times. Food stamps turned to EBT cards. Instead of tearing out coupon from a book and making that scene, you would never know whether someone is swiping a credit card or a food stamp card. And then there's the food pantries. They are often run by well-meaning churches who run under the premise that "they come because they need". Those with personal accountability do and they use the pantry only for the barest amount of time they need. And the there are the Others who use the pantry to subsidize their poor choices whether it be cigarettes or pay-per-view TV. They do not see their responsibility to their own house the same as we do. They feel they are entitled to have everything everyone else does and we all should pitch in to make sure the playing field is level. Food pantries help effective in that either you have expensive processed food which enforces poor choices OR you have beans, flour, rice that they don't want. Or more likely don't know how to cook. I'm not saying we should embarrass people who are needy. Help those who are truly needy.....even if its the government.... there are elderly/disabled/etc with no resources. But lets give everyone else a healthy dose of personal accountability and responsibility while giving them that hand "up". Preach it Enola! Preach it! I was talking to my 8 year old grandson about the news of the day and we got to the national debt. I asked him who he thought was responsible for paying it. He said, "The president?" It gave me the opportunity to talk about the cost of entitlements, including his family's SNAP card (long, sad, bad story), Some might call this indoctrination in a less than approving tone. I say, "Darn right and I'm going to keep doing it!" I wonder what happened to the little family you helped? My husband had us apply for food stamps last winter- a frustrating process that in the end resulted in the possibility of $16 a month "help," and yet cut off from it because they weren't about to do any real work to reach the person they needed to hear from to declare me eligible. I was SO glad that I got a job the next week and was able to call and cancel our case! Forward 6 months: when spring came, the company which hired me got the figures of what Obamacare was to cost them, guess who was laid off? It took from July to September to work through the unemployment system before funds came through. In the meantime a medical emergency hit my family and we're still paying off the bill. My husband got a job, but it takes all of his earnings to keep us afloat with rent and bills. Are we going back to the food stamp office? Not on your life! It's a couple of hours before I was to head to the food pantry where I've been going for the last few weeks. We get $45-55 worth of food most weeks, though I skipped last week because of the abundance of the week before. Earlier I looked in my fridge to assess what I need to get there and what I can leave for someone else. As Enola pointed out, not everyone is out to get all they can and some needs are genuine. When you give to the food bank, some of us are delighted to take rice, oatmeal and beans! Enola- I don't know about your community, but if someone I were helping out wanted to buy a movie, I'd take them to the library and tell them to check one out there instead. You never post my comments??? I stopped to help a woman outside a McDonald's one day. She was holding up a "hungry" sign. I walked back into the restaurant and bought her a complete meal with coke. When I gave her the meal she just grunted not saying thanks or anything else I could understand. Getting back into my car and pulling out I looked in the mirror expecting to see her eating the meal. She walked to the trash and tossed the whole meal away. I was shocked! I then knew she only wanted cash handouts to buy more booze or drugs. That was the last time I helped any street person. It really hardened my heart towards them. If you live in a state that has deposit returns on cans and bottles, I found that was a good way to figure out if someone was in serious need or not. If they would have taken an empty can or bottle I'd give them spare change; if they refused I figured they were bone idle or not truly in need. I was often refused in Boston, MA but not so much in Portland OR. IN the latter I once actually saw a man digging through the garbage for leftover take-out. I had food and was glad to give it to him. Some needs are genuine. Our church has a food pantry. My husband was concerned that food might be going to people who did not need the help. We discovered that they were only helped if they got a voucher from a local agency that cross-checks income and if they are getting food from any other agency. All of our local charities work together to make sure that only those in real need get help. The agency is headed by a woman who admits to having heard every hard luck story known and describes herself as a hard case when she listens to the stories. Not many get by her. She always lists the number of people in the family and if anyone has special food needs. We feel comfortable donating as a result. A number of years ago my elderly aunt was in the checkout line at the grocery. An equally elderly woman of another race said to her "I can tell that you don't get food stamps." Each of them had staples for cooking from scratch. The woman gestured to a much younger woman and said "She'll use food stamps." The younger woman had pre-prepared meals, ice cream and soda. She did indeed pay with food stamps. I have some relatives I've helped in the past-very similar story to yours. I felt like an idiot after I found out they were bragging they'd conned me into buying them groceries with a basic sad story(in effect, I was buying them booze/drugs/cigarettes-they didn't have to buy as much food). I wasn't mad at them so much as I was at myself. I let idiots con me, so that makes me an even bigger idiot, I suppose. It stopped.No more free groceries, rides or money. There was much wailing,gnashing of teeth, and sad, B.S. saturated stories. A great rift in the family came when I refused to bail out one of them-they just knew "I had money" (a phrase I got sick of real fast) and "owed it to them to help"(another get-old-quick phrase) a few other stock phrases as well.. I believe very few, if any, stories I get from relatives. I don't mind helping someone, I'm just a whole lot more selective about it now. My only concern is I wonder if I've gotten too hardened to others in need? I don't mind being the frog, I just won't haul scorpions. People who have gotten through life as parasites always seem to look at their relatives in terms of dollar signs. A relative came to our town, having prevailed upon the compassion of another relative. We wanted to see them back on their feet. Instead what we've seen is that this person wants everyone to wait on them instead. Our immediate family is more tough-love than theirs and now we're being bad-mouthed to our church people because we aren't taking more initiative on this person's behalf then they are for themself. I've heard the way they speak of my family as having money saved up, as if somehow they want t get some of that (truth be told all that is saved is emergency back up and all that exists of any sort of retirement). All that is to say that I understand where you are coming from. It doesn't seem to me that you are being hardened to those in true need but guarding that which God has given to your stewardship from those who would waste it, refusing to rescue those who would be enabled by rescue to continue unrepentant from destructive behavior. If only the fine folks in our government offices would open their eyes. Brilliant post. This is exactly what the "fine" folks in government had planned from the beginning. And therein lies the fatal flaw in any form of government mandated welfare. Everyone of these scorpions were raised and trained in scorpionship by the welfare system. Welfare creates dependency it does not cure it (except for a few who were brought up to be productive and self supporting). 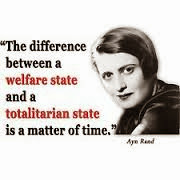 Welfare IS the problem not the cure. This contry is hooked on welfare and the leaders are terrified of ending it or even reducing it. It will happen, after all we are essentially bankrupt but merely in denial of that fact. When it ends most large cities will look like South Central LA did during the King riots. It will not be pretty. This rings so true with us, too. We have helped relatives to find later that the money was used for other than necessities. We were over the road truckers. It was nothing to pass the same exits on the interstate days apart to weeks apart and see the same beggars standing on the corner with a sign asking for money. We got so we just turned our heads away as the beggars did not want help, they just wanted money. I, too, worry as another commenter does about being too hard hearted about beggars. Enola, when this happened with the EBT cards, we sat down to really good meal of stew, made with beef our neighbors grow and vegies that we had grown ourselves. The only thing I had to buy were the seasonings. I do not buy pre-made stuff because of health reasons, and I use non GMO flour in our bread. There is a feeling inside I call my Holy Spirit that makes me feel good about our self-sufficiency. It gives me peace and joy. Well said. The overall spirit of our nation continues to free fall. I view is that when someone stops helping themselves my job is done. I have given out staple food but I don't give money. When we go under these welfare professionals will kill and rob so be ready. The next ‘Great Depression’ will be drastically different for two reasons. First of all, in 1930 the Feds rode in with their alphabet soup programs to force citizens into subjects. Among them were the AAA (Agricultural Adjustment Administration), the CCC (Civilian Conservation Corps) and the WPA (Works Progress Administration). One big step for government power; one giant leap for Socialism. The next will be met with armed jack-booted thugs from the likes of ATF, DHS, TSA, FBI, and FEMA. The second difference is that it will be America’s last ‘Great Depression’. As Stewart Rhodes, founder of Oath Keepers, warns, look for the Feds to “Ride in like the cavalry, to “save” us by means of martial law and scrapping our constitution once-and-for all. People will be told to “just turn in your guns, and you’ll get food” and “just turn in the extremists, and you’ll get food”. Excellent post! Thank you for you wonderful insights. Great post but I'm curious, what happened to the couple? We own our own home on acreage, have one decent running truck, have no debt at all. My husband works HARD at home and away. I will be SO glad when we no longer use food stamps. I've spent the last few months canning gleaned apples, pears, elderberries, grapes, etc. I have potatoes and pinto beans stored that were also gleaned. I was out of quart jars so today I traded some pints for quarts to a lady in a neighboring town. We're doing what we can...what we know to do. If you ever see me at Winco, you'll see a cart like I had today - 25# of rolled oats, and other bulk ingredients I can use to make healthy meals. I just bought 25 and 50# bags of whole corn, wheat, and rye( which I will mill), along with millet and rice at another local grocery store using EBT. I have jars of dried herbs and onion and garlic from our garden to make our simple food tasty. Our chard is still producing and finds a place in many suppers. All this said, I know where you're coming from. I often get comments about the food I buy using the food stamps. Cashiers are surprised and sometimes ask what I make with all those basic ingredients. Years ago, we saw a man outside of a shopping center with a sign indicating he had a family in need. Small children. We went in the store and bought peanut butter, bread, jelly, milk and some fresh fruit. We brought the bags out and quietly gave them to him. He didn't want it he said. Needed cash. That was the last time for us. This is tough business...trying to do the right thing. I hate what using food stamps says to our children but what do we do? Not everybody using food stamps has a tv and drinks or smokes away their money. Some heat their home and their water on a woodstove and read by kerosene light. Doing their best to live with as little money as possible. Wow! What an amazing post! My sister recently pointed me towards your blog and I'm loving it!. I want to be more self sufficient. At this time I'm working on being very frugal with what I spend my money on. I am very concerned about the direction our country is taking. A local church runs the food pantry in our community. People get the food boxes and then donates the food they don't want to our church. Then we find people who will use those items and are grateful for the opportunity. I am always amazed by the amount of food that is donated because someone doesn't like it or complains about what comes in the food box. People are also surprised that we don't have an EBT card. Recently, I sent my 17yr old son to a local gardener who sells produce at the Farmer's Market. I wanted broccoli but my son came home without any. He said "she wouldn't sell me any because it will be better to buy it at the Farmer's Market in a couple of days using your EBT card". He asked me if we had one. I said no and he said "that's what I told her and she said, oh everyone has one". In 1970, I lived in Oklahoma and knew two people who used the "commodity" system offered by the government to help people with their food needs. At that time, people had to go to a government office to pick up their food items. They were given a box -a medium sized box - that was easy to carry. In it were oatmeal, flour, sugar, and a large block of cheese. I don't remember what else, but all items, except the cheese, were non-perishable staples used for "scratch" cooking. These people did not get dollars or EBT cards, nor did they get to "shop" for themselves. The boxes were pre-prepared. I believe there might have been powdered milk in the boxes -or they were given stamps to buy milk, but at any rate, the staple items were enough to last a normal person through the month. In 1974-1975, my husband and I lived in California, and a family of five who lived in a house behind us received commodities (as they were called then). We never saw the husband or wife work, clean up their yard, or take care of their three young children. But what we did see, thrown out by the chain link fence that separated our yards, were dozens of old boxes still full of the unopened, untouched flour, sugar, and oatmeal thrown out and rotting in the back yard. My husband was a low ranking Navy man, and we were a struggling young couple. To see that food there made us sick when we struggled to put food on our own table. How I would have loved to have had that wasted food! I would have reached over and gotten any new boxes had I seen them throw back there, but our landlord soon put up a board fence since their place was such a mess. Food waste just KILLS me! But if recipients were receiving boxes of commodities, they soon would have to learn how to used that food. The food might end up wasted at first, but no way would I (if I were running the world) give money or EBT cards and allow people to purchase whatever junk they wanted. Enola, you and your husband did the right thing by being charitable but not allowing this couple to make chumps of you and use your hard earned money for useless things. Eight years ago my medically fragile child with special needs was born. The next day he was air flighted to our Children's hospital for a colonostomy as he had been born with a colorectal defect. ... the first of MANY issues we would be addressing in the next years. When he was finally (weeks later) able to come home, he came home on oxygen, specialty formula ($450.00 a WEEK), meds who's CO-PAYS were almost $2,000 a month. He's had 15 surgeries so far. He's needed therapies. Parker is beautiful and his quality of life is excellent despite the cords, trach and g-tubes. We love this kid with all of our hearts. We blew through our savings and our college funds. We held fund rasiers. I've been targeted by a HORRENDOUS troll because we have fund raised to meet Parker's needs. Our family can't win for losing. Our private insurance no longer will pay for any oxygen supplies or the rent on Parker's vent. Just Parker's vent alone is $2,000 a MONTH. That doesn't include the actual oxygen bottle refills, tubing, trachs, trach noses, etc. We figure that after our insurance pays out, there is still close to $100,000 a year to cover. And while hospitals may run a tab, pharmacies do NOT. And the payment plan our hospital offered us came with a interest rate way higher than our credit card rate, which is why we have so many loaded credit cards with medical debt. Now if we had not had any private insurance our hospital would have offered us a 'whatever you can pay a month for the rest of your life' deal. Instead of people telling me that we are robbing them by accepting the waiver that keeps my son alive, why aren't we asking why costs are so ridiculously high? I am charged FIVE DOLLARS for one trach nose that Parker can destroy with just one good cough. When Parker was trached and vented he did qualify for the Travis C. Waiver. After 4 years of filling up credit card after credit card, taking a second on our home, we were within months of being on the street. And, no, that is not an exaggeration. Middle class families have very little places to turn in situations such as ours. There is no church that can cover the costs of durable medical equipment rentals and $20,000 for ONE inhaled nebulizer drug each month. A year's supply for just ONE of my son's pulmonary hypertension medication runs over $70,000 a year. PARKER receives help from that waiver. The rest of my family does not. We receive NO EBT cards or any other help. We could get diapers and formula via that waiver, instead I create a blenderized diet for Parker using fruits and veggies I have grown and gleaned. We either use cloth or provide our own diapers. I can. I freeze. I dehydrate. I garden. We go without. We work hard to tread very lightly on the Waiver Parker receives because we recognize from where this help comes. We live on very little. We live very frugally. We will be paying off medical debt for the rest of our lives rather than declaring bankruptcy. Medicaid for the special needs population is NOT exploding the way other areas of Medicaid are. As a matter of fact for many the wait for help can easily be 10 years or more. The costs of social safety nets for those with special needs have stayed pretty steady over the last 30 years. One reason is that the life span of this population is very short. Before Parker was born, I had some of the same thoughts that have been expressed above. Now, having lived the reality for almost 9 years, the thought that comes to mind is "Here, but for the Grace of God, go you." lead for a short time. But I did it for free, because she had to take care of her mother. And my friend believes like the rest of us to work. ParkerMama is in a similar situation as I am, but with me I'm helping out my mother with physical disabilities. I am someone who has done the right things (I've never had kids as I can't afford them, I don't do drugs nor drink, and I have two college degrees and graduated with a 3.6 GPA from both colleges) and I'm still struggling to make ends meet. To make a long story short, these past 18 months have been rough on me as I don't get support from my more well off family members as they got the same prideful, smarmy attitude most of you people here. An uncle of mine snottly has said I should stick my mom in a convelescent home as she is a burden, but in this area the places are squalid, and her insurance will only pay for such care if she has Alzheimer's or another terminal illness with less than two years to live. I don't think any of you have ever been poor and just sit on your high horses and look down on those who have less and talk stereotypes out your blowhole. If you ever met me you wouldn't be so arrogant in your talk about the less priviledged. Also, this thing about the food banks just giving out beans, flour, and whatnot. My mother has type two diabetes, among her other physical problems, and such foods are not good for anyone,especially type two diabetics. Your attitude is like "oh let them eat cake!" when type two diabetes is becoming more common due to diets high in flour. Don't judge and stereotype unless you've really walked a mile in someone's shoes, especially people like me who are doing what they can to improve their lot in life but things still get in the way.